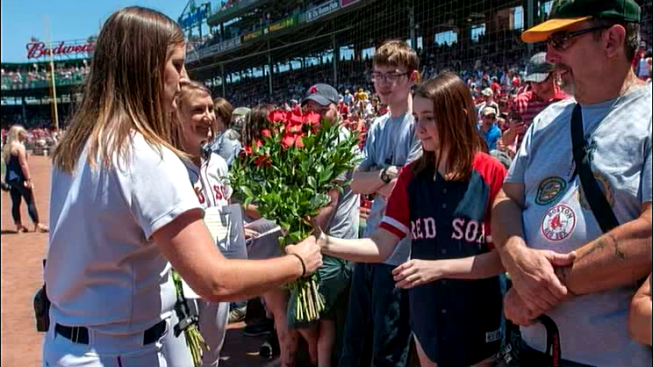 A group of Vermonters bound by tragedy enjoyed a special event on Independence Day at Boston's Fenway Park. The Vermont National Guard Fallen Heroes Memorial Committee facilitated a trip for Gold Star Families from Vermont to see the Red Sox play the Texas Rangers Monday. The Gold Star Families, who lost loved ones in service during Guard deployments to Iraq and Afghanistan, were honored on the field before the game. In addition to being introduced to the cheering July Fourth crowd at Fenway, a Vermont Gold Star family member, Heather Sheehan, threw out the ceremonial first pitch. 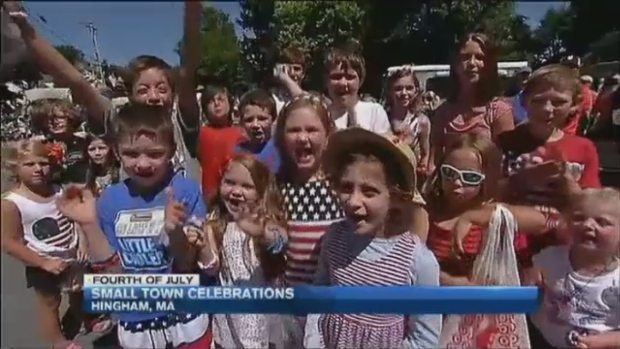 The annual Fourth of July Parade was held in Hingham, Massachusetts. "He'd be so excited," said game attendee Vickie McLaughlin of West Bolton, describing her late son, Scott, who was a huge Red Sox fan. Sgt. Scott McLaughlin of Hardwick was killed by enemy fire in 2005 during Operation Iraqi Freedom. The father of two was 29. "I think we pretty much cry once a day," McLaughlin's father, Kevin, told necn before leaving Vermont for the game in Boston. The McLaughlins said they appreciate the donation of tickets from the Sox, and all the effort the Guard's charitable wing and family support personnel put into the special trip. But to the McLaughlins, the baseball game was really secondary to the true point of the day: spending time with others who know the pain of losing a loved one to war. Several Gold Star families that had not seen each other in a while traveled to the game on a coach bus together, along with Guard representatives. "There's still a lot of grief. There's a big empty hole that's never going to be filled," McLaughlin said. "It's a special thing to be around people who know what that's like." Brig. Gen. Michael Heston of the Vermont National Guard said the Guard's charitable foundation and the Vermont National Guard Fallen Heroes Memorial Committee are now launching a capital campaign, looking to expand a memorial at Camp Johnson for fallen Guard members. "The families become our family," Heston told necn. "And it's like any family member, we're never going to let them down." The Vermont National Guard Charitable Foundation said it hopes to continue offering annual special events like the Red Sox game to the Gold Star Families, saying it's so important to honor their sacrifices, not just on Independence Day but all year long.